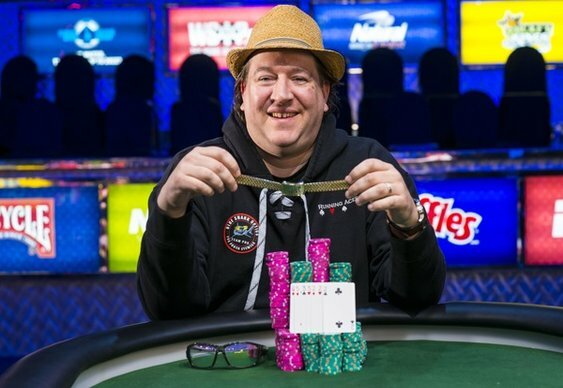 The latest pro to sport some swanky new jewellery at the 2014 WSOP is Chris Wallace who took down the $10K HORSE bracelet on Wednesday. It was Wallace's maiden victory at the WSOP with the $507,614 first by far the biggest score of the 40-year-old's career. The fifth Championship event of this year's World Series attracted a stellar field of 200 with the likes of Daniel Negreanu, ElkY, David Benyamine and Justin Bonomo all making the money. The wait for a British bracelet continues with Richard Ashby again coming closest to breaking the duck. After finishing runner up to Brock Parker in the Omaha Hi Lo last week, Chufty again made the final table, this time bowing out in fourth.